But this view is undoubtedly too generous to the Wallabies. Italy are ranked below even the falling Wallabies and it showed as they wilted when some attacking pressure was applied to them in the five minute periods before and after half-time. Aside from this disastrous (for them) lapse into mediocrity, however, Italy frequently out-played the Wallabies for long periods of play. This outcome of Italy often looking like a better team than the Wallabies is what should worry Michael Cheika and his coaching staff. Italy, too, were denied a couple of tries, including a crucial early intercept-try that might have deflated the Wallabies, given their recent lacklustre performances. Three of the Wallabies tries came in a 14-minute period of play, from the 35th minutes to the 45th when Marika Korbeite scored twice and Taniela Tupou, in his best performance for the Wallabies, crashed across in a typically bull-storming run. 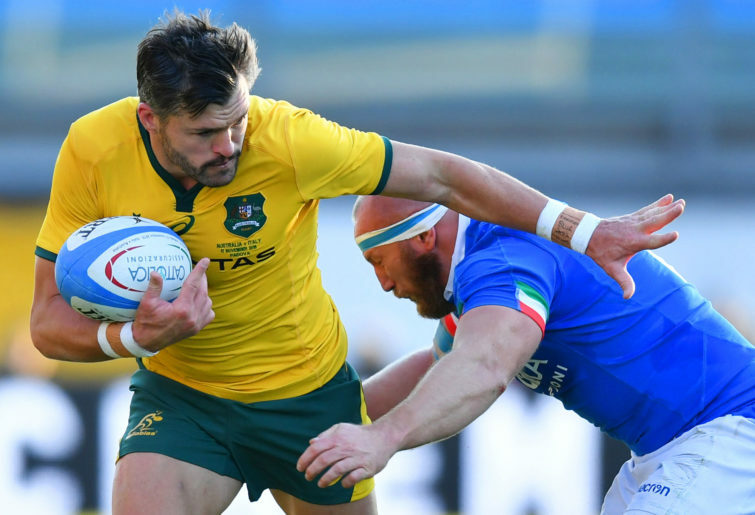 Korobeite’s second try was set up by a neat inside break from the Wallabies newest recruit in 2019 and its oldest player, Adam Ashley-Cooper. I will admit now that my initial reaction to coach Cheika’s decision to recall the 34 year-old Ashley-Cooper was that this was a mistake, in the Matt Giteau 2015 category. But Ashley-Cooper was far and away the best Wallaby on the field. He duffed an early high ball catch but from that point on he was composed, neat and effective, on attack and defence. 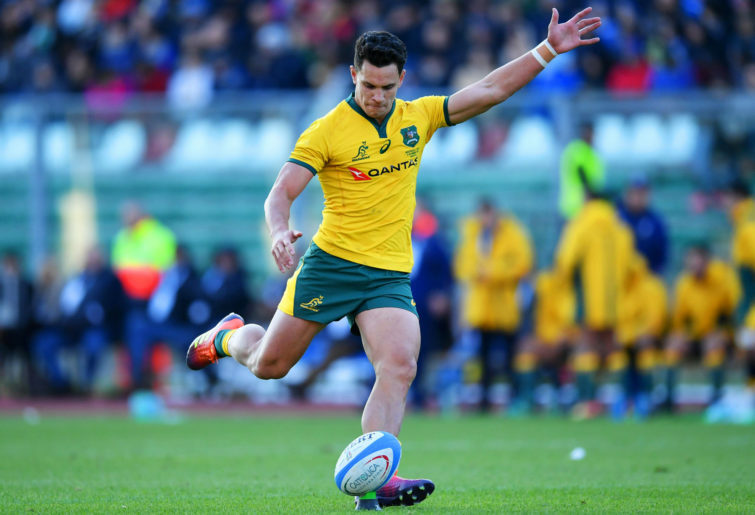 All his interventions, and he was on the ball a lot despite wearing a winger’s jersey, advanced the impact and thrust of the Wallabies attacks. 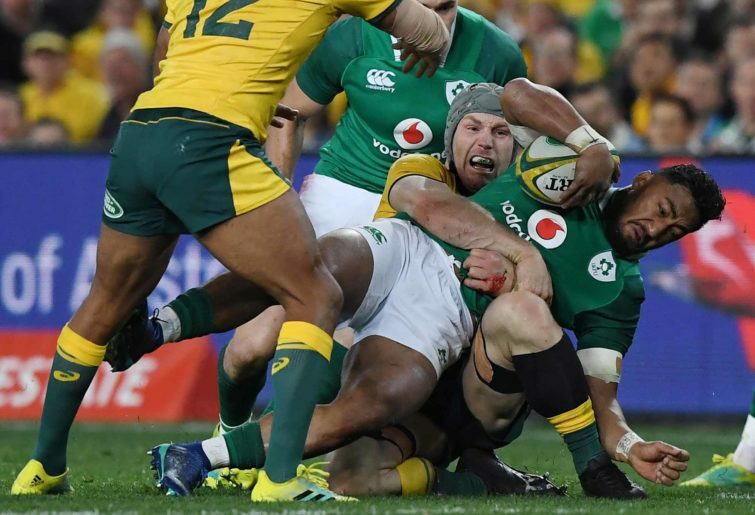 He did what all good backs – and indeed forwards – are supposed to do, that is improving the quality of the Wallabies ball whenever he got his hands on it. When the opposition becomes more formidable, as England will be next week, it will be interesting and instructive to see whether Ashley-Cooper can maintain the composure and assurance he demonstrated against Italy. Against Italy, at least, the comparison between his composed play and the headless chook play of the other backs, with the exception of Samu Kerevi and Jake Gordon, both of whom played strongly, was stark. The experiment of playing Bernard Foley as an inside centre did not work. He does not have the power and the size to dominate the middle of the field that the position requires from a player in this position. Foley is either playing at number 10, or not in the Wallabies starting side. Matt Toomua, the selected number 10, was hardly an improvement on Foley. He stood deep, often 10m behind the gain line. He didn’t attack the gain line. He merely shovelled the ball to a runner. He essentially replicated the Foley game, without Foley’s occasional flashes of brilliance at breaking the line. Before the Test, Jamie Pandaram, had an interesting short article in The Australian (“Wallabies have a mountain to climb) that pointed out the “ugly truth” about the Wallabies chances of success in Rugby World Cup 2019 given this season’s succession of loses. Going into the Test against Italy, the Wallabies had won three of their 11 Tests, giving the side a 27 per cent winning rate. The win against Italy bumps that winning rate up to 33 per cent. It is difficult to see the Wallabies defeating England next weekend but even if they did they would only record five wins out of 13 Tests in 2018 which would give them a 38 per cent winning Test record in 2018. No team with this sorry record of percentage wins and with eight (or nine) losses in a season has won a Rugby World Cup tournament. Pandaram made the additional point, too, that the although Springboks, winners in 2007, had the worst record of the all the Rugby World Cup winners, they had defeated the All Blacks, Wallabies and England in their final five Tests in 2006. In this context, I suppose, the last match of this year’s European tour against England will become a sort of final straw to grasp at for their supporters, Rugby Australia, the players and coaching staff, if the Wallabies somehow come away with a victory. Personally, I believe the Wallabies Rugby World Cup tournament hopes were really destroyed when the team lost to Wales the previous weekend. The point here is that the Wallabies are in Pool D of the match schedule for Rugby World Cup 2019, along with Wales, Georgia, Fiji and Americas 2. This is a much easier pool round than the Pool of Death in Rugby World Cup 2015 when the Wallabies, Wales and England were in the same group. It is one of the great stories of Australian rugby that the Wallabies escaped the Pool of Death in Rugby World Cup 2015 and went on to play out the final against the All Blacks. In a sense, winning the quarter-final and semi-finals in Rugby World Cup 2015 were easier than getting out of the Pool of Death for the Wallabies, even though they made heavy weather of defeating Scotland. In Rugby World Cup 2019, the Wallabies will have a relatively easy route through their Pool D but then, despite whether they emerge undefeated or lose to Wales in their pool round, they are going to have (or are likely to have if 2018 form is any guide) a really hard quarter-final (likely either England, France, Argentina). And in the semi-finals, they could face either the Springboks, the All Blacks or Ireland. However, all that is conjecture. Rugby World Cup tournaments have a habit of turning up surprises, like the all southern hemisphere semi-finals in Rugby World Cup 2015. The real point about the loss to Wales is that the winning hoodoo the Wallabies had over them was broken. Once hoodoos like this are broken they are very hard to put together again. That is the context, too, of Ireland’s outstanding victory over the All Blacks at Dublin. 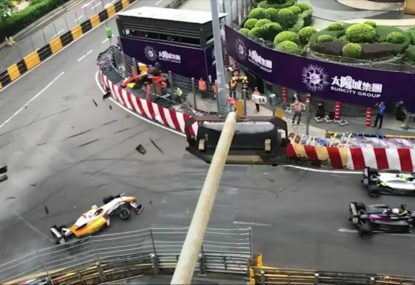 This was no fluke. The All Blacks were up for the Test but Ireland were better-coached and had more fire power with their runners, backs and forwards, and in their scrums and lineout. Ireland, rightly, are being considered the favourites now going into Rugby World Cup 2019. It wouldn’t be right to write off the All Blacks, though. 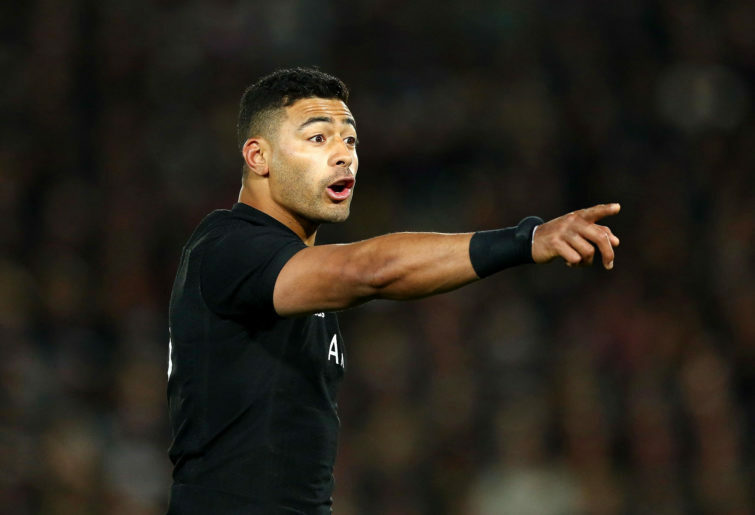 However, it does look as though the Rugby World Cup 2011 and 2015 champions, with players in the side from both of these famous victories, are running out of ideas and energy. We should remember, too, that they, like all the southern hemisphere teams, are coming off a tremendously hard and tiring season. Their opponents, Ireland, like the other northern hemisphere countries, are in the middle of their seasons and are noticeably fresher than their southern hemisphere counterparts. A second factor is that the southern hemisphere teams (and this includes the beleaguered Wallabies) are faced with opponents having the home ground advantage. So, given these considerations, the performance of the Springboks on their tour, with a close loss to England, a close win against France and a tight win against Scotland, are significant in terms of what might happen in Rugby World Cup 2019. Remember, too, that these away wins in Europe complement the Springboks win against the All Blacks in New Zealand. The Springboks have improved significantly this season under the coaching of Rassie Erasmus. That improvement is reflected in an ability to win Tests out of South Africa. They are, in my view, a real deal contender now for the Rugby World Cup 2019 title. The All Blacks, providing they defeat Italy next week, will have a season where they lost only two Tests, which duplicates their 2014 season. They remain a real deal Rugby World Cup contender, too. Wales, continuing their winning streak with a powerful victory over Tonga 74-24, are showing that finally some of the historic magic is coming back into their game. Finally, England should not be written off for Rugby World Cup 2019. They are more of an outside chance than a real deal team. But, and this is a crucial consideration, England has the best record in the Rugby World Cup tournament of any northern hemisphere team. So a year out from Rugby World Cup 2019, my fearless prediction is that there are four teams with a strong chance of winning the Webb Ellis trophy at the 2019 Rugby World Cup tournament: Ireland, New Zealand, South Africa and Wales. Just outside this group but capable of breaking into it is England. 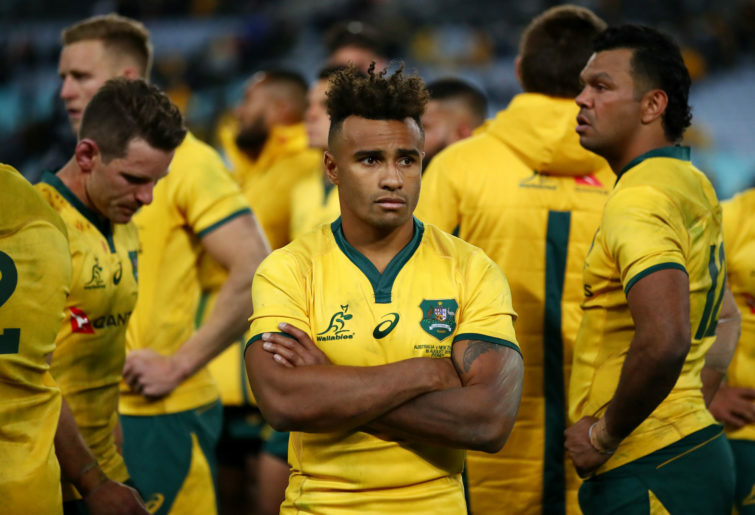 Unfortunately, I cannot see any hope for Australia progressing much further than the quarter-finals in Rugby World Cup 2019 on the strength (or, perhaps better, the weakness) of their performance on Saturday against Italy, and the lacklustre play they have shown throughout this season.